Infertility and pregnancy loss cause emotional, physical, and financial strain, not to mention posing a threat to intimate relationships, but also to relationships with family and friends. Society mostly focuses on the physical and financial aspects of this journey, but often fails to acknowledge the grief that accompanies infertility. One of the most painful aspects of infertility is how it can disrupt friendships and relationships with family members. Those who feel they have been denied parenthood tend to distance themselves from or shut out those they were once close to, hide their sorrow, or experience a side of their personalities they didn’t know existed (like being bitter or resentful of others). Each person’s experience of their emotions may in turn increase their feelings of shame and isolation. Researchers have identified eight types of loss for an average man or woman that can lead to depression. They know that of those eight, infertile individuals experience them all, possibly all of them at the same time. Finding others dealing with infertility can help you see that fertility problems are not something just you and your partner deal with and can affirm your disappointment, making it understandable. Understand though, that the friends you had before you started your fertility journey and your family members, even your partner, know you for who you really are – your beliefs, ethics and morals, your passions, your likes and dislikes, your heart’s truest desires. The loss of your long-time friendships and the distancing of family members does not have to happen. The people who have stood by you through thick and thin, through life event after life event, can be right by your side through infertility as well. More than likely, when someone hasn’t experienced the pain of infertility, they may not understand the way you feel – they haven’t been through the events you’ve experienced on this journey. They don’t know firsthand what it’s like. They may say things that you feel are inappropriate and hurt you. They are human, just like you. No one can expect others to understand how infertility feels unless they have been through it. Opening up about your personal feelings may help others to understand the situation you are in. Help your friends and family members understand that you are going to have your own feelings about the experiences you go through on this journey. Help them understand why you keep enduring more testing and keep trying new ways to help achieve your dream of becoming a parent. Help them know that it is sometimes best to just listen and not to force you to talk about your feelings and experiences when you don’t bring them up or don’t want to. Remember, they cannot know firsthand how you feel unless you tell them. Even when how they act or what they say sets off a cascade of emotions, I can guarantee you they didn’t mean to be hurtful and that they still want to be a good friend – to offer you affection, show you respect, to support you and help you when you need help, to be in your good graces. Your friends and family members are important; they allow for you to express emotion and pain without judgment, they can bring positivity and optimism to your life, help you by simply doing nothing but listen, even provide a distraction – like a coffee, lunch, dinner date, or offer you a chance to focus on someone else’s needs. If you are reading this and you have a partner, friend, or family member struggling with infertility, affirm their importance to you personally, help them know that you love and accept them not as an infertile person, but for who they are; listen without speaking, ask them to help you understand what they are going through, and know that you can’t solve their infertility or help by yourself – there may be a team of specialists needed (doctor, therapist, herbalist, partner, mother, egg donor, etc.). I know that not everyone who reads this article will automatically hear the theme song from the 1990s television sitcom Friends, I’ll Be There For You, play in their head, but I wish you could. Not everyone who reads this article will hear Phil Collins sing You’ll Be in My Heart from the animated children’s movie Tarzan either. What I hope though, is that everyone knows what friendship means to them. I hope after reading this, that if you realize you need to heal a relationship or call an old friend, that you will. You deserve help! You deserve friendship during this challenging time! You are loved! 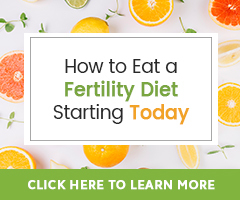 I hope you can find support on this fertility journey! If you would like to work one on one with our fertility herbalist to craft a natural fertility program for your specific needs, please consider a Fertility Consultation.